The name of the organization is Major Howard Egan Family FoundationTM, a non-profit corporation (the “Corporation”). The within constitute the bylaws of the Major Howard Egan Family Foundation.TM Throughout this document the Major Howard Egan Family FoundationTM will be called the “Organization” or “Foundation.” Organizations of the child-lines of Major Howard Egan shall be called Child-Line Families. Family organizations under the Child-Line Families shall be called Sub-Child-Line Families. Section 1. General Purpose: This non-profit corporation is organized for charitable purposes and is not organized for the private gain of any person. A. 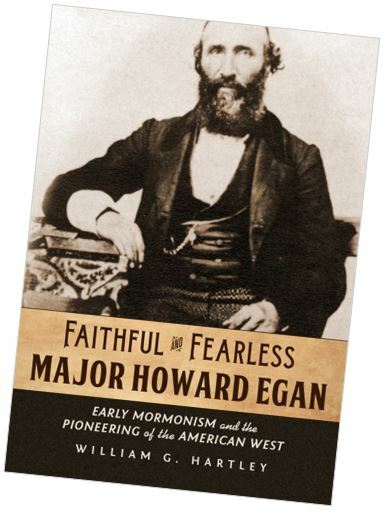 PROMOTE RESEARCH: 1) Organize and conduct genealogical research on the ancestors and descendants of Major Howard Egan and their related families and genealogical lines; 2) Promote Egan family research, scholarship, and related educational conferences; 3) Maintain tax-exempt status, thereby encouraging donations for Egan-related research, preservation, communication, promotion, events, and websites. B. PRESERVE HISTORY: 4) Locate, identify, catalogue, and preserve family histories, artifacts, graves, and historical sites; 5) Make Egan family genealogical research, papers, histories, and newsletters available to family members and to the public; 6) Submit Egan family genealogical research into leading computerized family history databases. C. CONNECT DESCENDANTS: 7) Locate and maintain contact with the descendants of Major Howard Egan; 8) Hold periodic meetings, reunions, and conferences to help Egan descendants get to know one another better and to pursue the Foundation’s goals; 9) Promote connections and relationships among descendant families, and assist smaller family groups to organize and meet together. D. SHARE HERITAGE: 10) Encourage the youth of Egan descendant families to learn and value their pioneer heritage of family and faith, through reunions, firesides, service projects, activities, electronic media, publications, books, and mementos honoring their ancestors; 11) Maintain family, media, and public outreach regarding the history and contributions of the Egan Family and the objectives and activities of the Foundation; 12) Establish and maintain a Major Howard Egan Family FoundationTM website; and such other purposes and powers set forth herein, in the Articles of Incorporation, and Amendments thereto, and as otherwise provided for by law. Section 3. In furtherance of the forgoing objectives, this Organization may make distribution of its assets to organizations that qualify as exempt organizations under Section 501 (c)(3) of the Internal Revenue Code 1954 (or corresponding provision of any United States internal revenue and related law). Notwithstanding any other provisions of these bylaws, this Organization shall not, except to an insubstantial degree, engage in any activities or exercise any powers that are not in furtherance of the purposes of this Organization. Section 4. Principal Office & Other Offices: The Corporation’s principal office shall be fixed and located at such places as the Board of directors (the “Board”) shall determine. The Board is granted full power and authority to change said principal office from one location to another. Branch or subordinate offices may be established at any time by the Board at any place or places. Section 1. Open to the Public. 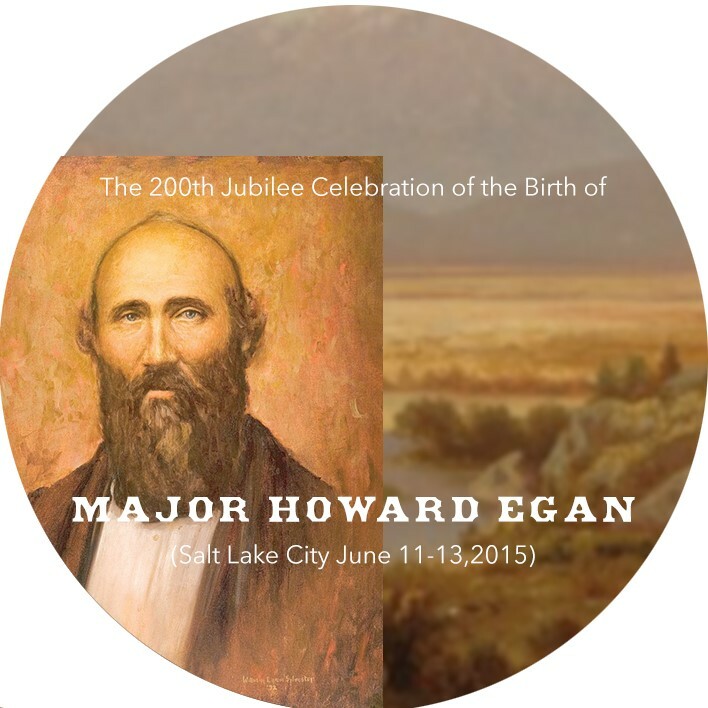 Membership in the Major Howard Egan Family FoundationTM is open to anyone who is interested in the history or genealogy of Major Howard Egan or any of his ancestors or descendants, or in the research, work, or events of this Foundation. 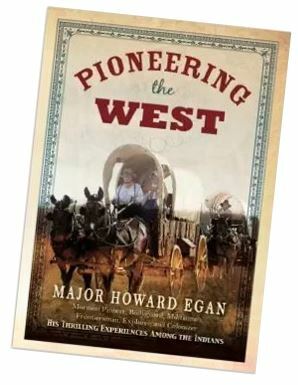 Applicants need not be a descendant of Major Howard Egan to join, and all members have access to the research, papers, websites, and events of the Foundation, and to the fellowship of its members and Egan family descendants. Various items of information provided on the application for membership may be excluded from public access upon the request of the applicant, and certain genealogical information regarding living descendants may be limited to other living descendants. Membership may be denied an applicant and their profile removed from the Foundation’s website for any reason deemed reasonable by the Board of Directors, and any member may resign from membership and have their profile removed from the Foundation’s website upon notice of resignation emailed to the Foundation or delivered by US mail to the Foundation’s headquarters. Section 2. Registration Form. To become a member one need only complete a registration form, which is accessible electronically on the Foundation’s website. Section 4. No Dues. No dues or membership fee is required – however an annual, tax-deductible donation of a minimum of $35 per household or $20 per individual is encouraged to help the Foundation: extend its community, reach younger generations, embark on new genealogical initiatives, maintain computer equipment and software, develop a stronger Internet presence, purchase office supplies, and help cover the cost of newsletter mailings and other correspondence with members. The Board of Directors is encouraged to continue the No Dues policy, but has the authority to change said policy and require dues for membership in future years. Section 1. Board of Directors. Unless otherwise provided herein, all power, business, and property of the Organization shall be held, exercised, conducted, and controlled by the Board of Directors, who may meet as often as they shall deem advisable, either in person, by proxy, telephonically, or by computerized conferencing, upon five (5) days formal notice to all members of the Board, which notice may be individually waived. A proper voting quorum of the Board of Directors shall consist of three (3) or more Board Members in attendance in person, by proxy, or telephonically. Membership of the Board of Directors shall consist of the following: President, Vice President, Secretary, Treasurer, Genealogical Research Coordinator, Information Coordinator, and one (1) Representative from each of the child-lines of Major Howard Egan, selected by whatever means the descendants of each of the child-lines of Major Howard Egan determine, when and if said Representative has been selected and is available. The Representatives of the Child-Line Families who serve as members of the Board shall be chosen as determined by the methods and procedures of the respective Child-Line Families. The other members of the board shall be chosen as provided for hereinafter. The initial officers, who are automatically directors, shall be the following 3 individuals: President & Director: Edward F. Allebest; Secretary & Director: Richard C. Sloan; Vice-President, Treasurer & Director: Elayne E. Allebest. Section 2. Executive Committee. The Executive Committee shall execute policies of the Board of Directors. Membership of the Executive Committee shall consist of the following: President, Vice President, Secretary, Treasurer, Genealogical Research Coordinator, and Information Coordinator. Section 3. Child-Line Families and Sub-Child-Line Families shall be responsible for genealogical research along the respective child-lines of Major Howard Egan, with the help of the Research Coordinator and Information Coordinator. These families may draft their own articles of formation, constitutions, bylaws, and/or other organizational documents and establish, and maintain their own organizations. The presiding officer of each Child-Line Family shall be called President, which individual may also serve as the Representative to act as a member of the Board of Directors and/or as a Representative to help elect a new President and/or Vice President, as provided for below. Section 4. Regular Meetings. The Board of Directors shall hold an annual meeting for the purposes of transacting such business as they deem appropriate. Annual meetings of the Board shall be held on such dates and at such times and places as may be fixed by the Board. Section 5. Special Meetings. Special Meetings of the Board for any purpose or purposes may be called at any time by the chairman of the Board, the President, any Vice President, the Secretary or any two (2) directors. Section 6. Notice. Meetings may be called by the chairman of the Board, the President, any Vice President, the Secretary or any two (2) director by notice emailed, mailed, telephoned, or telegraphed to each member of the Board not less than forty-eight (48) hours before such meeting. Notice of a meeting need not be given to any director who signs a waiver of notice or a written consent to holding the meeting or an approval of the minutes thereof, whether before or after the meeting, or who attends the meeting without protesting, prior thereto or at its commencement, the lack of notice to such director. All such waivers, consents and approvals shall be filed with the corporate records or made a part of the minutes of the meeting. Section 7. Action Without a Meeting. Any action required or permitted to be taken at a meeting of the Board of Directors (including amendment of these Bylaws) or of any committee may be taken without a meeting if all the members of the Board or committee consent in writing to taking the action without a meeting and to approving the specific action. Such consents shall have the same force and effect as a unanimous vote of the Board or of the committee as the case may be. Section 8. Participation in Meeting by Conference Call. Members of the Board may participate in a meeting through use of conference telephone or similar communications equipment, so long as members participating in such meeting can hear one another. Section 9. Committees. The Board of Directors may, by resolution adopted by a majority of the Directors in office, establish committees of the Board composed of at least two (2) persons which, except for an Executive Committee, may include non-Board members. The Board may make such provisions for appointment of the chair of such committees, establish such procedures to govern their activities, and delegate thereto such authority as may be necessary or desirable for the efficient management of the property, affairs, business, activities of the Corporation. Section 10. Reimbursement. Directors shall serve without compensation with the exception that expenses incurred in the furtherance of the Corporation’s business are allowed to be reimbursed with documentation and prior approval. In addition, Directors serving the organization in any other capacity, such as staff, are allowed to receive compensation therefore. Section 1. The initial President and initial Vice President shall be appointed by the incorporators of the Major Howard Egan Family FoundationTM, a non-profit corporation, and the incorporators may appoint any one or more of themselves to either or both of these offices. The initial President and initial Vice President and all subsequent Presidents and Vice Presidents shall serve for a term of four (4) years, or until such time as said officer resigns, is determined to be incompetent as determined by two independent physicians or by court order, dies, or is removed for cause upon the vote of a majority of the Board of Directors, where all Directors, including the offending party or parties, shall be entitled to vote. Any individual over the age of twenty-one (21) who is a descendant of Major Howard Egan, or a spouse of a descendant of Major Howard Egan, may serve as President or Vice President, and may be appointed or elected President or Vice President an unlimited number of times. Upon the expiration of the four (4) year term of the President and/or Vice President, or at such time as the office of President and/or Vice President is vacant for any of the reasons described above, a replacement President and/or Vice President shall be elected to fill the vacancy at a formal Election Meeting of the Representatives of the various child-lines of Major Howard Egan, which Election Meeting shall be held within three (3) months of the office becoming vacant, which formal Election Meeting may be held in person, telephonically, or by conference bridge line, so long as each of the Representatives can hear one another. 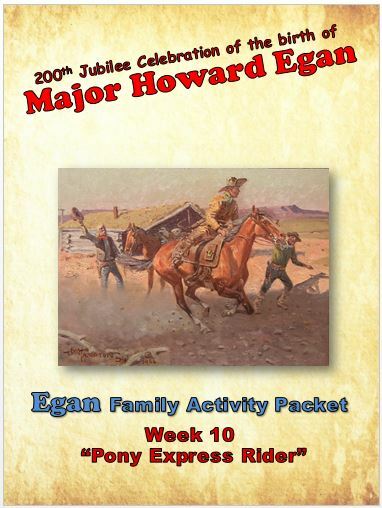 Each Child-Line of Major Howard Egan is entitled to have up to two (2) Representatives at said Election Meeting, which Representatives shall be selected by whatever means the descendants of each of the child-lines of Major Howard Egan determine, all of which Representatives may vote, and a majority vote of all Representatives present in person, by proxy, or telephonically at the Election Meeting, shall be determinative. Any Representative may give thirty (30) days formal notice of the Election Meeting, which notice shall be given to all Representatives identified by the respective child-lines of Major Howard Egan. A proper voting quorum shall consist of two (2) or more Representatives in attendance in person, by proxy, or telephonically. The newly elected President and/or Vice President shall assume their duties immediately. Section 3. Paid Staff. The Board of Directors may hire such paid staff as they deem proper and necessary for the operations of the Corporation. The powers and duties of the paid staff shall be as assigned or as delegated to be assigned by the Board. 1. He/She shall call and preside over meetings of the Board of Directors and the Executive Committee. 2. He/She shall review, with the Board of Directors, activities of the Organization. 3. He/She shall, with the Board of Directors, establish and maintain policies within the framework of these bylaws. 4. He/She shall, with the Executive Committee, execute the policies established by the Board of Directors. 5. He/She shall assist members of each child-line to establish a child-line organization. 6. He/She shall submit a report at least annually to the Board of Directors of the activities and accomplishments of the Organization. 7. Whenever the Vice-President becomes President before his/her term as Vice-President expires, then upon becoming President, he or she, as President, shall appoint a new Vice-President to succeed him/her, and that appointment must be ratified by the Board of Directors at its next meeting. 1. He/She shall function as the President when the President delegates that responsibility to him/her, when the President is absent at Board of Directors or Executive Committee meetings, and when the President dies or is otherwise unable to function in his/her office. 2. He/She shall discharge any assignments given him/her by the President that are in accord with the purposes of the Organization and that fall within the framework of these bylaws. 1. He/She shall keep minutes of Board meetings, Executive Committee meetings, and reunions of the Organization. 2. He/She shall provide copies of the minutes to those who participate in the meetings of the Organization. 3. He/She shall discharge any assignments given him/her by the President that are in accord with the purposes of the Organization and that fall within the framework of these bylaws. 1. He/She shall maintain adequate and proper financial records which shall be available for audit at the discretion of the President or the Board of Directors. 2. He/She shall receive and deposit money for the Organization in federally insured institutions. 3. He/She shall disburse these funds by bank check which must bear any two of the following signatures: President, Vice-President, Secretary, Treasurer. 4. He/She shall discharge any assignments given him/her by the President that are in accord with the purposes of the Organization and that fall within the framework of these bylaws. 1. He/She shall develop, implement, supervise, and coordinate research in relation to ancestors and descendants of Major Howard Egan and his wives. 2. He/She shall develop and maintain a repository/database of genealogical and family history information relating to ancestors and descendants of Major Howard Egan and his wives. 3. He/She shall discharge any assignments given to him/her by the President that are in accord with the purposes of the Organization and that fall within the framework of these by-laws. 1. He/She shall develop, collect, and maintain a repository/database of names, phone numbers, street addresses, and email addresses, where available, of the Organization’s members; and develop and maintain a communication network for the Organization’s members. 2. He/She shall develop, establish, and maintain a Major Howard Egan Family Foundation web site on the Internet, and encourage, train, and promote use of the web site among the Organization’s members. 3. He/She shall carry out any assignments given him/her by the President that are in accord with the purposes of the Organization and that fall within the framework of these bylaws. Section 1. Whenever the Board feels it is appropriate, the Board may call for, organize, and preside at reunions of the Major Howard Egan Family. It is recommended that reunions of the Major Howard Egan Family be held at least every five (5) years, and optimally every two years if there is enough interest among Egan family members to do so. Reunions shall be held at a place and time determined by the Board of Directors. Section 2. Child-Line Families shall be encouraged to hold their own reunions on a periodic basis. The Corporation shall, to the maximum extent permitted by the Law, indemnify each of its directors and officers against expenses, judgments, fines, settlements and other amounts actually and reasonably incurred in connection with any proceeding arising by reason of the fact any such person is or was a director or officer of the corporation and shall advance to such director or officer expenses incurred in defending any such proceeding to the maximum extent permitted by the Law. For purposes of this Article VIII, a “director” or “officer” of the corporation includes any person who is or was a director or officer of the Corporation, or is or was serving at the request of the Corporation as a director or officer of another corporation or other enterprise, or was a director of officer of a corporation which was a predecessor corporation of the Corporation or of another corporation or other enterprise at the request of such predecessor corporation. The board may, in its discretion, provide by resolution for such indemnification of, or advance of expenses to, other agents of the Corporation, and likewise may refuse to provide for such indemnification or advance of expenses, except to the extent such indemnification is mandatory under the Law. Any indemnification under this Article VIII shall be made by the corporation only if authorized in the specific case, upon a determination that indemnification of the agent is proper in the circumstances because the agent has met the applicable standard of conduct required by law by: a) a majority vote of a quorum consisting of directors who are not parties to that proceeding; or b) the court in which the proceeding is or was pending upon application made by the Corporation or the agent or the attorney or other person rendering services in connection with the defense, whether or not the application by the agent, attorney, or other person is opposed by the Corporation. Section 1. Fiscal Year. The fiscal year of the Corporation shall be January 1st through December 31st of each year, but may be changed by resolution of the Board of Directors. Section 2. Checks, Drafts, Etc.. All checks, orders for the payment of money, bills of lading, warehouse receipts, obligations, bills of exchange, and insurance certificates shall be signed or endorsed by such officer or officers or agent or agents of the Corporation and in such manner as shall from time to time be determined by resolution of the Board of Directors or of any committee to which such authority has been delegated by the Board. Section 4. Investments. The funds of the Corporation may be retained in whole or in part in cash or be invested and reinvested on occasion in such property, real, personal, or otherwise, or stock, bonds, or other securities, as the Board of Directors in its sole discretion may deem desirable, without regard to the limitations, if any, now imposed or which may hereafter be imposed by law regarding such investments, and which are permitted to organizations exempt from Federal income taxation under Section 501(c)(3) of the Internal Revenue Code. Section 1. Upon dissolution of the Organization, the President and/or the Board of Directors shall, after paying or making provision for payment of all liabilities of the Organization, dispose of the remaining assets of the Organization, if any, exclusively for the purposes of the Organization in such manner, or to such organization or organizations organized and operated exclusively for charitable, educational, religious, or scientific purposes as shall at the time of receipt qualify as an exempt organization or organizations under Section 501 (c) (3) of the Internal Revenue Code of 1954 (or the corresponding provision of any future United States Revue Law), as the President and/or the Board of Directors shall determine. Section 2. Failure to hold a reunion or failure to hold any election shall not disorganize the Organization. Section 1. Ratification. These bylaws, and any amendments hereto, shall be ratified by the unanimous vote of the Board of Directors. Section 2. Amendment of Bylaws. The These Bylaws may be amended by a unanimous vote of the Board of Directors, provided prior notice is given of the proposed amendment in the notice of the meeting at which such action is taken, or provided all members of the Board waive such notice, or by unanimous consent in writing without a meeting pursuant to Section IV.